Verse makes payments easy. We are the leading P2P payments app among young Europeans which is currently used by over 300k people. With Verse, you can pay and request money from your friends in the time it takes you to send a text message. It’s fast, safe, easy and free. 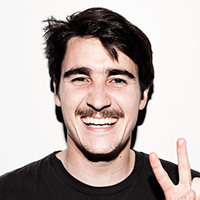 We are also leveraging our proprietary and cutting-edge tech to provide online businesses with B2B solutions to radically improve how they move money from A to B.
Pablo is currently COO at Verse (www.verse.me), the leading P2P payments app and end-to-end money platform in Europe. Pablo joined Verse from Revolut, one of the fastest-growing fintech startups globally, where he was General Manager for Spain and led the launch and early stages of growth in the market. Before that, Pablo was based in Singapore and led Growth and Product at Paktor Labs, the division in charge of incubating and growing nascent and early-stage social entertainment and social discovery apps.